The mood of the Pound Sterling to US Dollar (GBP/USD) exchange rate soured after MPs scrapped plans to table an amendment targeting a second referendum on Brexit. While the odds of a no-deal Brexit have diminished in recent days this was not enough to keep Pound Sterling (GBP) on its bullish footing on Thursday morning. With markets still lacking clarity over the likely shape of the UK’s future relationship with the EU incentive to buy into GBP has diminished. 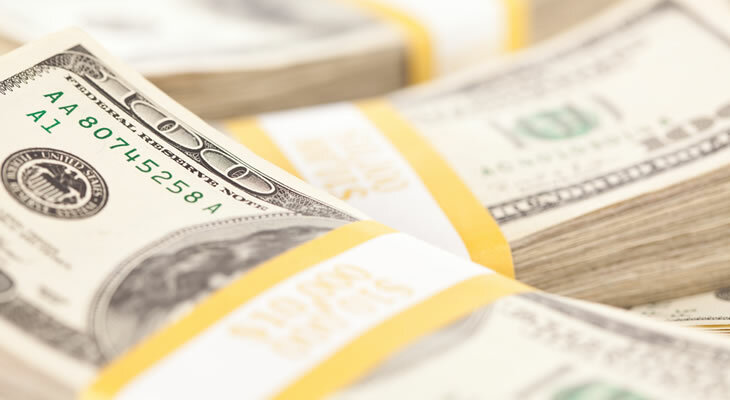 An increased sense of market risk aversion, meanwhile, helped to shore up the US Dollar (USD) after several days of lacklustre trading. Persistent worries over the outlook of the global economy and underwhelming Australian jobs data both helped to bolster the appeal of the safe-haven USD. Confidence in the Pound could pick back up ahead of the weekend, however, if January’s CBI reported retail sales index proves encouraging. Forecasts point towards a solid improvement, with the index strengthening from -13 to 2 in the first month of 2019. Signs that consumers are increasing their spending, in spite of worries over Brexit, could improve confidence in the resilience of the UK economy. Even so, with December’s BBA loans for house purchase figure expected to show a dip in mortgage approvals on the month any optimism could prove short-lived. Until issues surrounding Brexit are resolved any signs of weakness in domestic data could weigh heavily on the GBP/USD exchange rate. December’s US leading index may see the appeal of the US Dollar decline once again, though, if economic momentum shows fresh signs of slowing. If the index eases from 0.2% to -0.1% as forecast this could drag USD exchange rates into a renewed slump, even in the face of market risk aversion. With the US government shutdown still ongoing any evidence of economic weakness could encourage investors to pile out of the US Dollar. As an end to the shutdown remains elusive the negative impact on the US economy looks set to mount further, damaging the prospects of the first quarter gross domestic product. Unless there are any significant signs of progress towards a resolution to the standoff this should limit the potential for USD exchange rate gains. Downside pressure could also stem from the latest initial and continuing jobless claims figures if the US labour market shows signs of loosening. With the Federal Reserve already looking set to leave interest rates on hold for some time to come evidence of a weaker labour market may well drive the US Dollar lower against its rivals.